Calling the Classes of 1979, 1989, 1999, & 2009! Class of 1998 Celebrates 20 Years! The Lee Academy Class of 1998 celebrated 20 years this past weekend at the home of classmate, Anna Dulaney on Friday night and Hopson Commissary on Saturday night. A great time was had by all! Congratulations to our outstanding Alumni! Lee Alumni - "Throw Back to the 70's!" Lee Academy Alumni "Throw Back to the 70's"!! 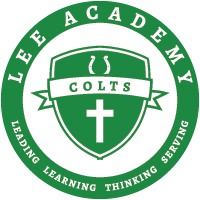 Calling all Lee Academy Alumni! 2016 USTA Southern MS State Champs! Lee Academy Alumni and friends gather at the first official "Lee Alumni" Event during Homecoming 2016. Large thanks to Jen Waller and Rivers Humber for their hard work and for helping make our first event so much fun! Lee Academy Class of 2006 held their 10 year reunion this past weekend in Clarksdale at Oxbow Restaurant.